In this collection of short stories, Pierz Newton-John moves through the full range of masculine experience, with an openness not afraid to show men at their most lonely, sexual, loving, sometimes vulnerable, sometimes abusive. First touch of a woman’s body in a cold and foreign land, tender moments between father and son, the deep love of a father separated from his child, treachery and opportunism mixed up with loneliness and internet dating, the casual violence of young boys exploring the world, rites of passage from young rebels to comfortable suburbanites, and what men feel and think about women. 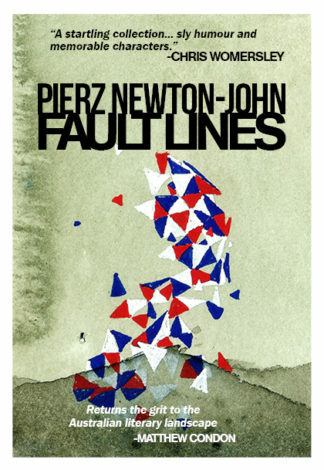 In Pierz Newton John’s stories it always come back to emotion?tenderness with children, warmth with wives after dreams of alienation, the pain of treacherous girlfriends, the loneliness of men. Plus ça change plus c’est la même chose…….the reader is lulled by the seamless prose, undercurrents of contemporary music, the urbane writing, the suburban settings, but it is all happening behind closed doors. Pierz Newton-John lives in Melbourne. In addition to being a writer, he is a guitarist, web developer, former psychotherapist Pierz Newton-Johnand father. His stories have appeared extensively in Australian literary journals and anthologies including Meanjin, Overland, New Australian Stories, Kill Your Darlings and The Sleepers Almanac. He won the Alan Marshall Award in 2008.